Become the king of the kitchen or grill with this Maverick Redi-Chek Bluetooth iChef BBQ Thermometer that allows you to remotely monitor your food or grill from up to 160 feet using your iOS or Android device via Bluetooth. 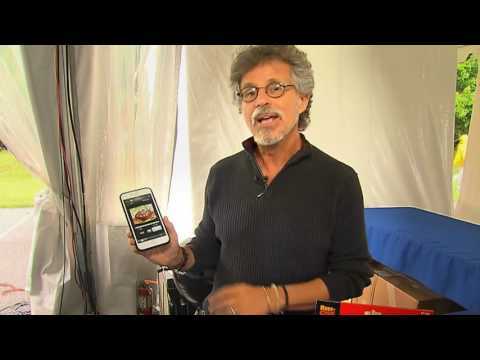 The weather resistant transmitter and RediChek app turns your smart device into a BBQ thermometer. The RediChek app s preset temperatures for 15 different meats including game meats with customizable preset temperatures allows you to cook your food to your personal taste. The unit comes with two (2) waterproof hybrid probes but can connect up to four (4) probes to monitor 4 foods, multiple foods and the grill, a combination of up to four (4) grills and/or foods or four (4) grills at once with separate alerts, temperature reading and timers for each probe. Use the RediChek app to calculate how long your food will take to cook or to display real time progress providing the perfect temperature every time. The transmitter includes a wire stand that doubles as a hanger when turned around and two (2) AAA batteries. How far is the range on this product away from your grill? Great question, Cindy! 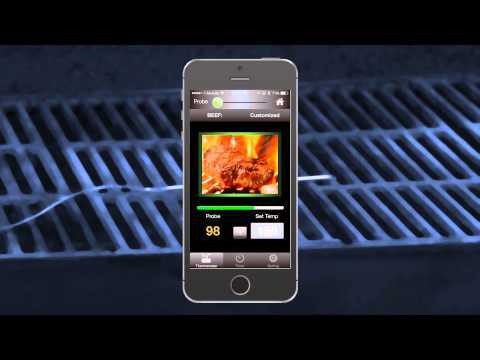 You can remotely monitor your food or grill from up to 160 feet.